The basic principle of zero-sequence current protection is based on Kirchhoff's current law: the algebraic sum of the complex current flowing into any node of the circuit equals zero. The vector sum of each phase current is equal to zero under the normal condition of circuit and electrical equipment. Therefore, the secondary winding of zero sequence current Transformer has no signal output and the actuator element does not move. When the ground fault occurs, the vector sum of the phase current is not zero. The fault current causes the magnetic flux in the ring core of the zero sequence current Transformer. Effect: When electric shock or leakage occurs in the circuit, protect action, cut off the power supply. 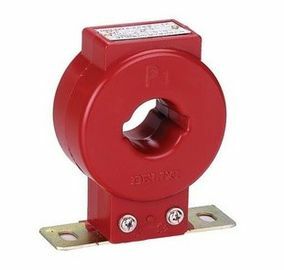 Use: One current Transformer can be installed on each of the three phase lines, or three phase wires can be used to pass through the zero sequence current Transformer together,A zero sequence current Transformer can also be installed on the neutral line N to detect the vector sum of three phases. The zero-sequence current Transformer is sealed by ABS engineering plastic casing and whole resin pouring, which can effectively avoid the corrosion during the long-term use of Transformer. Good insulation, beautiful appearance. High sensitivity, good linearity, reliable operation, easy installation and so on. The utility model is superior to the general zero-sequence current Transformer, and has a wide range of applications.